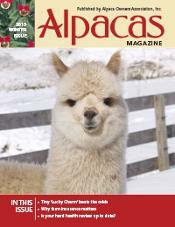 The leading publication for alpaca owners! 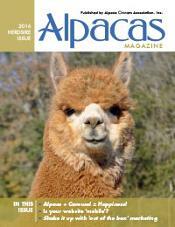 The first issue of Alpacas Magazine was printed in 1990 by Alpaca Owners & Breeders Association (AOBA), one of the predecessors, of Alpaca Owners Association, Inc. (AOA). 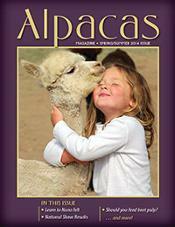 It was created as a publication to provide information and education to the alpaca industry. 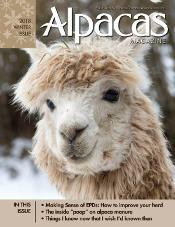 Through the decades, Alpacas Magazine has chronicled the evolution of the alpaca industry while capturing the heart and soul of the alpaca lifestyle. 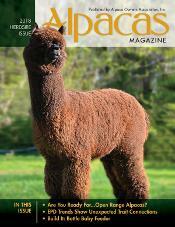 Well-written, compelling stories, breath-taking photography, creative step-by-step instructions for fiber arts, breakthroughs in breeding and husbandry, the latest alpaca genetic information, and the most up-to-date industry news and scientific research are brought to your mailbox four times a year. 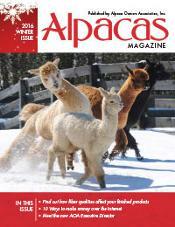 With readers and writers from around the world, Alpacas Magazine continues to be a leader in providing timely and useful information, whether you keep just a few alpacas as pets or run a large-scale breeding and fiber operation. 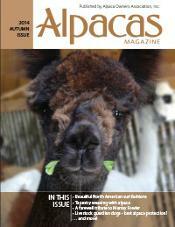 New to Alpacas or Alpaca Products? 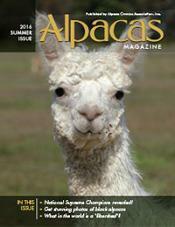 Purchasing an Alpacas Magazine package (4 issues) is a great way to begin researching the alpaca industry. 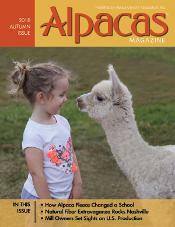 The publication provides wonderful educational information and access to information about alpaca farms throughout the United States and Canada. 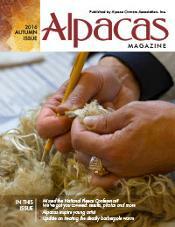 You can also learn about alpaca fleece, fleece products, and even catch a glimpse of some alpaca fashion from around the world. 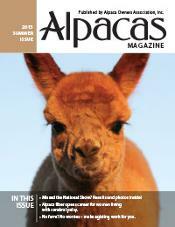 All Association members receive the printed magazine with their membership and Registry members have the option to purchase the magazine for minimal cost. 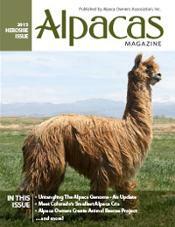 Additionally, both Registry and Association members have access to the full magazine online. Login to the AOA website and visit our online archives on your computer, phone, or tablet to view every issue of this award-winning publication. 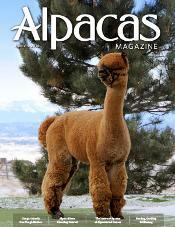 Trying to reach alpaca owners or those interested in alpaca and alpaca products? 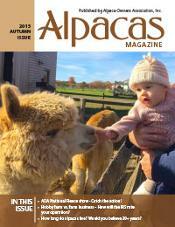 With more than 8,000 copies of the printed magazine delivered around the world each year and thousands more accessing the magazines online, Alpacas Magazine is a great place to advertise your farm, alpacas, alpaca products, or any product that would be relevant to this demographic. For more information visit our advertising fees and schedule page or contact Jo Ashley in our sales department. If you are ready to advertise you can purchase ads directly from our shopping cart. 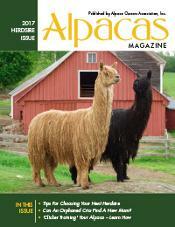 Are you knowledgeable about a topic relevant to the alpaca industry? 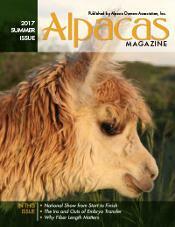 Alpacas Magazine is always looking for writers for upcoming publications. 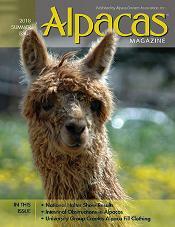 Contact Alpacas Magazine editor, if you have an idea for a story or are interested in writing an article for Alpacas Magazine. 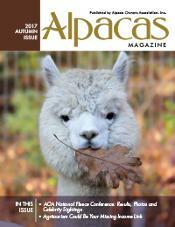 If you have an eye for photography, Alpacas Magazine is always looking for great photos of alpacas, alpaca fleece, and alpaca products. 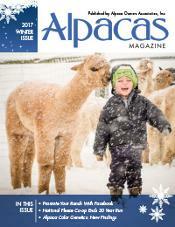 Contact the editor, if you are interested in submitting photos for consideration.